The Belgrade Camping Center is close to the center of Belgrade, so you can not only use it as a stopover, but also to visit the city, there is also camping equipment like electricity, fresh water and sewage and waste water on site. The square is located near the Pancevo bridge across the Danube, which is easy to reach on foot. Within the Camping Center Belgrade you can receive services for the maintenance of the camping vehicle or for the installation of the equipment. 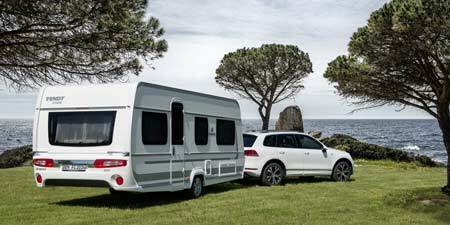 You can also park your camping vehicle in the open or covered parking throughout the year with the possibility of accessing around the clock. The vehicle is parked in a fenced area with video surveillance system and with constant power supply, the possibility of emptying the toilet cassette, with water connection and with WiFi Internet signal. First, we were thinking little difficult to find, cause our navigation is not working right now, so we were asking some neighbours. But sure, because of brand new, even some neighbours did not know. So we phoned to Snezana (her English is perfect) and she guided us. Sure there will be some sign boards little later. Right now, installation for posts for electricity, fresh water and grey water are installed allready. There is small office cabin with somebody on service during the day and watch guard in the night. If you are passing Belgrade, a very good place to spend the night on the way to South. Right now, for those spending couple of days in Belgrade, there is public transport already. Later, as Ducan explained, he thinks about daily transfer into the town from camper stop. For sure, there are couple of beautiful sights to visit (see below). The staff speaks English, is available for many questions, an excellent place to explore Belgrade and its multi-faceted offers! If you have any technical problems with your camping car, you need help, information, look for a service, towing, parking or camping, call us. Your problem will be our problem and we will solve it best for you. A very special highlight during your stay in Belgrade: A city tour in the yellow Cabriolet, ask to Dusan! In the south to Camping Enigma in Vranje, there are 379 kilometers on well-developed motorway with low toll costs, a stopover is in preparation. To Budapest it is 346 kilometers along the Balaton, please do not forget the electronic vignette for Hungary. The Zasavica Nature Park with the campsite is only 74 kilometers away.